ReVisioning Point began as a conversation between neighbors about the impact student housing has on all aspects of our community from quality of life to economic development. That conversation evolved into how we might work together as a community to create a more thriving, healthy, and sustainable Stevens Point. Tori Jennings and Garrett Ryan formed ReVisioning Point with input from Richard Ruppel in November 2014. ReVisioning Point is a grassroots movement lead by an Advisory Board and community interests that aims to inclusively engage the public, city, businesses, civic organizations and landlords in low cost interventions and long-term design strategies that will rejuvenate declining neighborhoods and business districts. Tori received her Ph.D. in Anthropology from UW Madison in 2010. Tori’s research area is Cornwall, England where she studies and writes about climate, culture, and politics. After teaching cultural anthropology at UWSP for six years, Tori is turning her anthropological interests towards the local community with a focus on urban regeneration, economic and sustainable development, and place-making. Tori is especially interested in collaborating with and drawing upon the insights and experiences of Hmong, Latino and Tribal members living and working in and around Stevens Point. 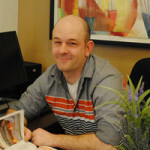 Garrett Ryan is a local small business owner operating a graphic and web design business, Garrett Ryan Design. He graduated from Northern Illinois University with a BA in Visual Communications in 2008. 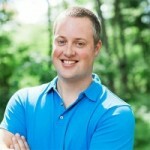 He has worked with large and small businesses all over the world. He is the 3rd district alderperson for the City of Stevens Point. He also splits time between the marketing committee for the Fox on Main and sitting of the board of the Old Main Neighborhood Association. He has a passion for historical preservation and community revitalization. His goal is making the core of Stevens Point an enjoyable place for all ages to live and prosper. 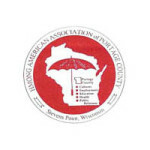 The Hmong American Association of Portage County is a charitable non-profit organization founded in 1991 and directed by a Board of volunteers. During its history, HAAPC has established a strong connection with the Southeast Asian community through its numerous supportive services and programs. The Hmong American Association of Portage County provides community volunteer and support to other organizations as needed. Mr. Cheng is a Stevens Point native, graduating from both Stevens Point Area Senior High School and UW-Stevens Point. 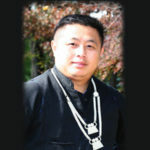 He is an active community member and a former treasurer for the Hmong American Association of Portage County. Mr. Cheng has served as a Cultural Consultant on multiple university and community collaborations including the documentary, Finding the Middle Way: A Story of the Hmong People in Portage County, 1980-Present. He is currently cultural consultant and research assistant working on a Hmong health awareness walking-map project with Dr’s Tori Jennings and Maysee Yang Herr. 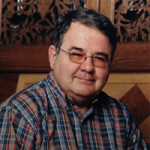 A native of Brooklyn, New York, Gerard McKenna, received the BME and MME degrees in Kansas and the PhD in music education in Nebraska, taught bassoon and performed with the faculty woodwind quintet at Kansas State College and then taught at UW-Milwaukee where he served as Department Chair of Music and Associate Dean of the School of Fine Arts. Gerry moved to UW-Stevens Point in 1989 as Dean of the College Fine Arts and Communication until his retirement in 2005. One of his major responsibilities was development of the arts management program. Gerry has chaired the Stevens Point Arts Council, the CWSO board and is currently president of the Stevens Point Kiwanis Club. He also serves on the Stevens Point Sculpture Park board and is involved in projects and activities that relate to the arts in the community. Gerry is very active as a member of the broader Stevens Point community and is interested in how the arts intersect with daily life experiences in city environments. 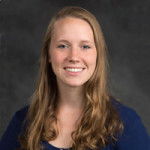 Madelin is a Food Systems Education Outreach Specialist at the Wisconsin Center for Environmental Education, and is pursuing her master’s degree in Community and Organizational Leadership at UWSP. 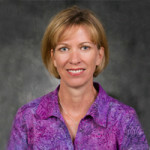 Madelin is from the Stevens Point area and spent a hefty number of years in Madison earning her bachelor’s degree in People/Environment Geography and Environmental Studies while working her way through school. Since moving back to Stevens Point in 2013, she has been developing ways to make this community more sustainable, healthy, and ultimately livable for all. In her spare time, Madelin can be found biking to work, spending hours in the garden, and working on house and yard projects with her husband and their dog. Richard is a thirty year resident of Stevens Point. 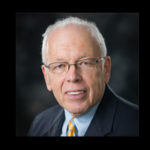 He recently retired as Professor of German and Comparative Literature from the Department of World Languages and Literature, which he chaired for eleven years in the College of Letters and Science at UWSP. Richard holds M.A. and Ph.D. degrees from Cornell University (NY), a separate M.A. from Tufts University (MA) and a B.A. from Hartwick College (NY). 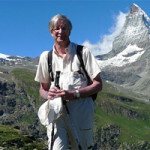 As a specialist for German Studies, Richard has travelled extensively, studied, conducted research, lived and taught in Europe. He is interested in how Europeans are transforming cities into user-friendly, livable spaces for all ages through a process of gentrification that includes modern or modernized housing, pedestrian zones, bicycle lanes and paths. Richard sees that Stevens Point, with its central location on the Wisconsin River, its many parks, the Green Circle Trail, arts community, and much more has a lot going for it and could become a model city in Central Wisconsin. Nathan grew up along the Wisconsin River, in Sauk Prairie. He attended UW Madison where he studied biology and agricultural education, and later earned a graduate degree in urban and regional planning with concentrations in economic planning, and energy analysis and policy. Nathan is the Community Development Educator with Portage County UW-Extension, assisting civic organizations and local government units throughout Portage County, as well as facilitating organizational development conversations and community-based planning efforts. Nathan also responds to inquiries, connects people of Portage County to resources of the University of Wisconsin, and promotes research-based education related to community development, natural resources, sustainability, and economic development. Mark retired from the UWSP where he taught German and was active in the Historic Preservation committee, which supervised the restoration of the Founders Room in Old Main and worked on getting Nelson Hall on the National Register of Historic Places. He was also vice president of the Portage County Historical Society and the curator of the Temple Beth Israel Museum, which he researched in order to get it on the National Register. He authored the book “The Jewish Community of Stevens Point”, which documents the many contributions Central Wisconsin Jews to the development of Central Wisconsin 1871-2000. Mark passed away on December 14, 2015. 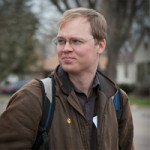 Greg has BA and MA degrees in English and education from St. Olaf College and Stanford University. He taught high school writing classes in Minneapolis and Chicago for eight years. Currently Greg is Executive Director of the Arts Alliance of Portage County and the IDEA Center (Innovation, Design, Entrepreneurship, and Art), a new initiative aimed at attracting more young professionals to live and work in our community, while also supporting people in the county who are already creating—including artists, entrepreneurs and product developers. The IDEA Center will serve as a business incubator providing educational, office support services, and networking for people looking to start or build their own businesses. Would you like to get involved or submit a blog?